Volkswagen cars have always been in trend among many people. The Volkswagen brand is known to launch cars with advanced features. The all-new Volkswagen Ameo offers excellent features which capture the attention of many customers. Volkswagen cars highly fuel efficient and powerful. 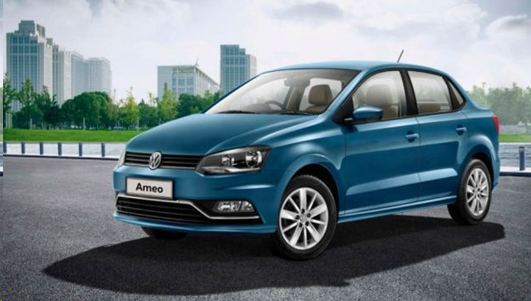 Volkswagen Ameo price is negligible if compared with the features and efficiency of the car. The seats of the car are very much comfortable wherein five people can be seated inside the car. Volkswagen Ameo price lies in between the range of Rs. 5.66 – 10.0 Lakh. The car is equipped with the latest features as well as specification. It is the perfect choice to fulfill the dream of your family. 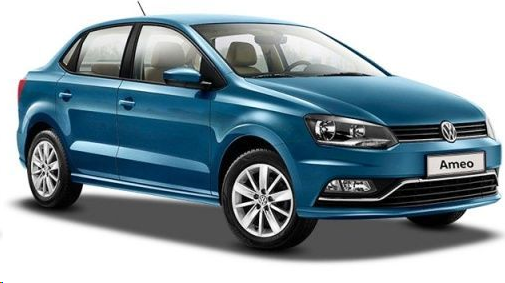 The luxury Volkswagen Ameo offers many variants one can choose according to the choice. The major variants includes Trendline 1.0L (P)- 5.87 Lakhs, Comfortline 1.0L (P)- 6.42 Lakhs, Trendline 1.5L (D)- 7.05 Lakhs, Highline1.0L (P)- 7.28 Lakhs, Highline Plus 1.0L (P) Connect Edition- 7.65 Lakhs, Highline Plus 1.0L (P) 16 Alloy- 7.84 Lakhs, Comfortline 1.5L (D) 7.87 Lakhs, Highline Plus 1.5L (D) Connect Edition 8.89 Lakhs, Highline Plus 1.5L (D)16 Alloy 9.09 Lakhs and Highline Plus 1.5L AT (D)16 Alloy 10 Lakhs. Mileage is an essential factor which everyone considered while purchasing the car wherein the mileage offered by the Volkswagen Ameo is approximately between 19.44 to 21.73 kmpl. The engine of the car is 999 to 1498 cc which ultimately depends on the model of the car. The petrol and diesel-based engines of the car are mated to a 5-speed manual transmission. Volkswagen cars are giving tough competition to the other automobile brands in the market. Volkswagen cars are well-known for offering the best features; moreover, the services offered by the Volkswagen is excellent. The remarkable features added by the company into Volkswagen Ameo such as this hatchback gets a dual-beam halogen headlamps, rain-sensing wipers, auto-dimming IRVM, a 6.5-inch touchscreen infotainment system along with Apple CarPlay & Android Auto, cruise control, automatic climate control with rear AC vents and rear parking sensors. The company designed all the cars by keeping in mind the safety features wherein Volkswagen Ameo consists of dual front airbags and ABS as standard in its all variants. Volkswagen cars are the best choice to fulfill your dreams as it is the perfect hatchback at affordable prices. If you want to enjoy the ride of immense pleasure with your family members, then Volkswagen Ameo is the ideal choice. How Does Speedliner Differ from Other Spray Liners?